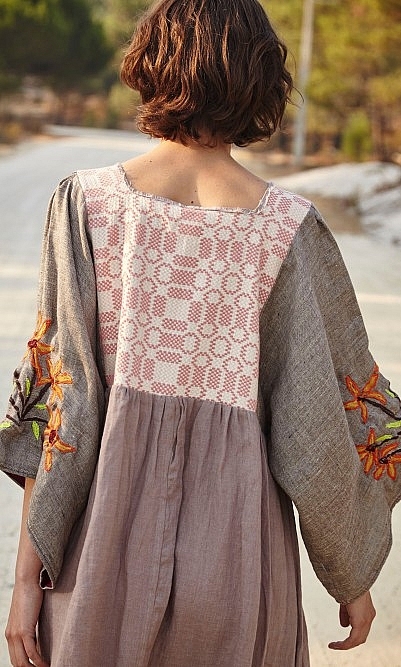 Block-print dress in saffron and teal. Cross-over front embellished with pom poms and inverted pleats add subtle movement to the skirt. Side pockets. Unlined. Optional slip dress available. L120cm. Fabric and care: 100% Cotton. Cold machine wash. I love this dress. 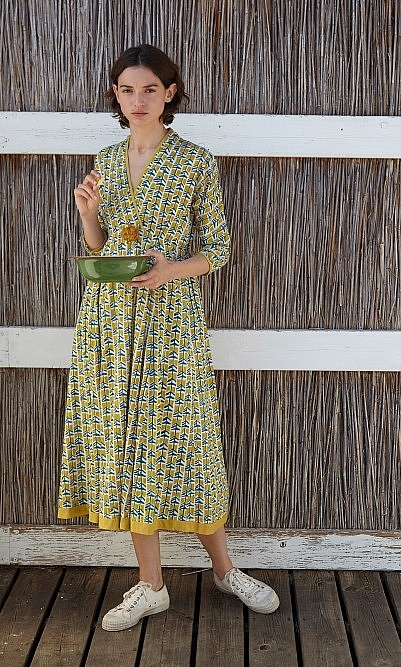 It is cool comfortable cotton, flattering and has a gorgeous vintage styling. A much needed confidence boost! I saw someone wearing this dress on my daily commute. I recognized it from your brochure. She looked absolutely great and it fitted her perfectly.